Showing results for tags 'italian'. Celiac.com 03/16/2019 - It's spring, and that means it's time for leafy greens! Kale is on the menu in this rich, hearty and delicious Italian-style bean soup that's a perfect way to get more fiber into your diet. I use Hurst HamBeens 15 bean soup mix, but you can conceivably make this without it. Regarding the spice packet, a note in the FAQ section of the Hurst website says: "All of our seasonings are completely gluten-free. All of our dry beans are naturally gluten free as well. We do occasionally package barley in our facility." Ingredients: 2 cups (1/2 bag) Hurst HamBeens 15 Bean Soup (spice packet is gluten-free) 2 cups chicken stock 1 cup water 1 can stewed tomatoes, with juice (14.5 ounce) 1 tablespoon bacon grease or olive oil 1 medium onion, chopped 3 cloves garlic, minced 1/2 teaspoon garlic powder 1/2 teaspoon cumin powder 1/2 teaspoon onion powder 1/2 teaspoon turmeric 1 bay leaf 2-3 cups fresh kale, loosely chopped Ham hock 2 cups gluten-free macaroni, prepared al dente Instructions: Soak beans overnight in water. Prepare macaroni al dente, according to instructions. Drain, add a bit of olive oil to the pasta and stir to prevent sticking, and set aside. In a large stock pot, sauté onions in bacon grease until clear. Add garlic and sauté until fragrant. Add spice packet and other spices and stir. Add chicken stock and water. Add beans and bay leaf. Bring pot to a boil, and then reduce to a simmer a few hours, until beans are tender. 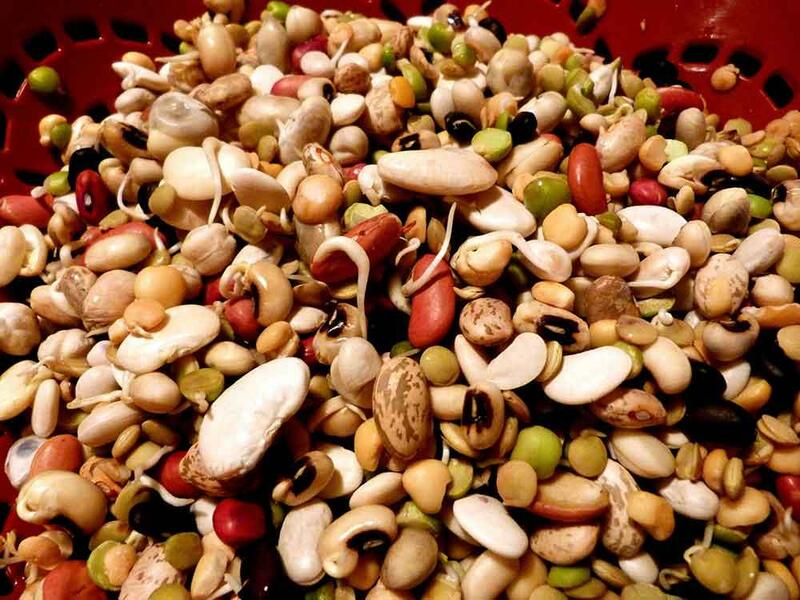 Be sure to taste all the bean sizes to be sure they are uniformly cooked through and tender. Add kale in the last 15-20 minutes of cooking. When beans are all tender, serve over gluten-free macaroni, or over rice. Could An Italian Patent Change Gluten-free Food World Forever? Jefferson Adams posted an article in Celiac Disease Research Projects, Fundraising, Epidemiology, Etc. Ingredients: 1 package of gluten-free rotelli pasta 1 package grape tomatoes, halved 4 ounces feta cheese, crumbled ¼ pound of deli salami, cubed Chopped Fresh Basil ½ chopped red pepper 2 chopped green onions Dressing: 1/3 cup olive oil 3 tablespoons lemon juice 2 garlic cloves, minced 1 ½ teaspoons dried oregano ½ teaspoon salt ¼ teaspoon pepper Directions: Wisk together dressing ingredients, then pour over salad and pasta. You can add black olives and artichoke hearts if desired. 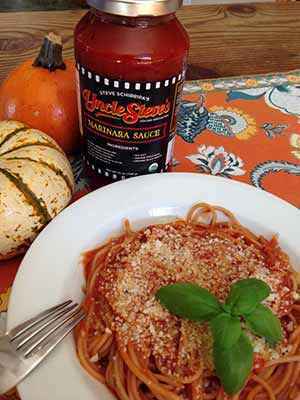 Celiac.com 11/21/2014 - I recently had the opportunity to try an outstanding pasta sauce made by Steve Schirripa of "The Sopranos" fame, and I must say that I could not be more impressed. When given the option between homemade sauce or jarred, I normally opt for homemade, however, this perfectly made marinara sauce offers a clear exception to my rule. This rich tasting sauce has the perfect mixture of spice, seasonings and quality ingredients—and it tastes wonderful on your favorite gluten-free pasta. Besides tasting great it is also certified organic, gluten-free, non-GMO, kosher and contains no added sugar. For more information visit: unclestevesny.com. Review written by Scott Adams. 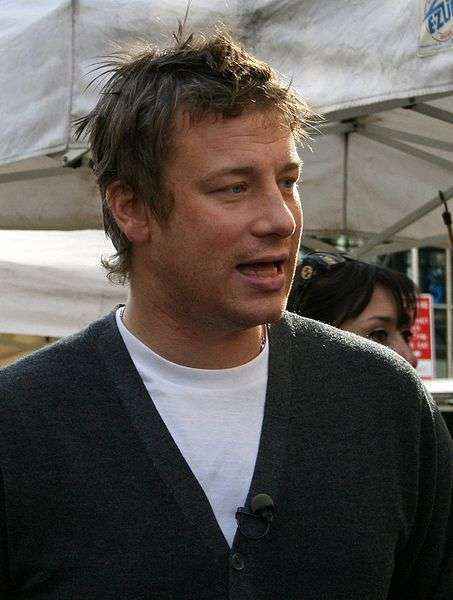 Celiac.com 06/20/2013 - A restaurant owned by celebrity chef Jamie Oliver has been fined over $12,000 after a customer with celiac disease was sickened by eating regular pasta, instead of gluten-free pasta she was supposed to receive. The fine resolves a complaint brought by 38-year-old Kristy Richardson, who dined in 2011 at Jamie's Italian in Porstmouth, U.K. Richardson suffers from celiac disease. According to reports in the Telegraph, Richardson asked three different staff members to make sure she received gluten-free pasta, but she somehow received regular pasta. As a result, she became "violently ill," with nausea and vomiting that lasted for days and which left her weak for months, according to news reports. This in itself might be bad enough for most people, but, at the time, Richardson was on a waiting list for a heart and lung transplant. According to reports in the Sun, her gluten-triggered illness was so severe that her doctors temporarily removed her from that list; potentially depriving her of a transplant opportunity. Richardson complained, authorities became involved, charges were filed, and the restaurant eventually pleaded guilty to "selling food not of the nature, substance or quality demanded by a purchaser," according to the Telegraph. The fine is in addition to the nearly $4,000 previously awarded to Richardson in a civil case over the matter. What do you think? Should restaurants be fined if their gluten-free food contains gluten. Does it matter whether it makes people sick? Lancet 2000;356:399-400. (Celiac.com 08/13/2000) According to a recent study by Dr. Antonio Gasbarrini and colleagues from Gemelli Hospital, Catholic University, in Rome, celiac disease may play a role in recurrent spontaneous abortion and intrauterine fetal growth retardation. The researchers studied 44 patients who had a history of spontaneous abortion, 39 patients who had fetuses with intrauterine growth retardation and 50 normal controls. For each group the researchers measured serum concentrations of IgA anti-endomysial and IgG anti-transglutaminase. According to Dr. Antonio Gasbarrini: The patients with recurrent spontaneous abortion and those with intrauterine fetal growth retardation had a significantly higher frequency of serological markers of celiac disease than controls, as reported in the July 29th issue of The Lancet. Further, they found that three patients with recurrent spontaneous abortion (8%) and six patients whose fetuses had growth retardation (15%) tested positive for celiac disease. In addition, nine of the patients also underwent an endoscopy (jejunal biopsy), and eight were positive for celiac disease. Of the positive endoscopy group three patients showed duodenal mucosa with chronic inflammation and subtotal villous atrophy and five patients presented with severe mucosal atrophy. The researchers also point out that while about 1 in 1000 people in Europe have some symptomatic gluten-sensitivity, it is now becoming clear that a greater proportion of individuals have a clinically silent form of the disease, and probably many others have a minor form of enteropathy. Their research shows that it is important to recognize celiac disease as a possible risk factor for recurrent spontaneous abortion and intrauterine fetal growth retardation, but it remains to be seen whether the removal of gluten from the diet will decrease the incidence of both problems for women with celiac disease. Burnham Oip Near Lewistown Pa Gluten-Free Menu! The Burnham OIP (Original Italian Pizza) near Lewistown, PA has introduced a varied gluten-free menu. http://www.oipburnham.com/ They are careful w/ cross contamination. gluten-free spouse has already had pizza, chicken tenders, handcut fries, and salad. The waitress even asked if ketchup and andes candies were safe, so they are cautious and trained. Other than Hoss's, this is the only Mifflin County gluten-free restaurant, and it's only 2 minutes from our house!!!! If traveling north to State College, Burnham OIP is only about 3 minutes off the Electric Ave Exit of 322. Rich soups are a winter staple in many parts of Italy. This version brings together rice, chicken stock, cream, sausage and vegetables for a culinary delight. This delicious, rich, hearty, Italian style soup is perfect for winter, great for guests, and sure to delight palates to the last bite! Ingredients: 2 quarts gluten-free chicken stock 2 tablespoons olive oil 3 cloves garlic, minced 2 tablespoons onion, chopped 2 - 3 carrots, sliced 4 links gluten-free Italian sausage, sliced 1 teaspoon dried oregano 1 tablespoon dried basil ¼ cup chopped fresh parsley 2 cups uncooked white rice ½ cup heavy cream Preparation: Heat oil in a large pot over medium heat. Sauté garlic and onion for until soft. Add the sausage, and cook until well-browned on all sides. Add the chicken stock, oregano, basil and parsley. Bring to a boil, then reduce heat to low and simmer for 1 hour. Add the rice and carrots, and simmer another 30 minutes or so, until rice is tender. Lastly, stir the cream until blended well. 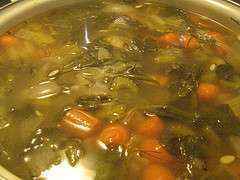 Remove from heat and let soup cool slightly before serving. In Italy a few years back, I noticed an abundance of menu items featuring delicious, locally raised veal. Local, humanely raised and processed veal can be a a delicious addition to the table, and makes a nice variation from the usual chicken, beef, or pork offerings. The rich, delicious sauce of tomato and white wine creates a moist, tender, gluten-free veal stew that is sure to liven up your table this fall and winter. Just don't invite any vegans that night. Ingredients: 6 tablespoons olive oil 2 large onions, chopped 4 cloves garlic, minced 3 pounds veal, trimmed and cubed 1½ cups tomato sauce 3/4 cup white wine salt and pepper to taste Directions: In a large pot, heat oil over medium heat. Add onions and garlic; cook and stir until onion is tender. Add meat to the pot, and brown evenly. Stir in tomato sauce and white wine. Season with salt and pepper to taste. Bring to a boil, reduce heat to low, cover and simmer for 1½ hours, or until tender. Serve over rice, potatoes, or gluten-free pasta. Makes 6 servings. 2-½ cups whole blanched almonds (or 13 oz. almond meal) 1-½ cups sugar 7 eggs pinch salt grated rind of one lemon 1 teaspoon vanilla extract confectioners sugar to dust cake If using whole almonds, grind into a fine paste in a food processor. Add sugar and process to blend. Place 3 whole eggs and 4 egg yolks in a large bowl, reserving whites. Beat with an electric mixer while slowly adding the almond paste. Mix until fluffy. Add salt, lemon rind and vanilla. Whip the egg whites until stiff but not dry and fold into the mixture. Butter a 9 or 10 inch springform pan, and line with well-buttered parchment (or wax) paper. Pour the batter into the pan. Bake in a 350 degree oven for 45 minutes, or until toothpick comes out dry when inserted in the center of the cake. Cool. Turn the cake out of pan upside down into a serving dish, and carefully remove parchment. Dust with the confectioners sugar. This recipe comes to us from Diane Wilson. 12 oz. Chicken breast, cut into chunks. ½ cup chopped onion 1 cup chicken broth, add more as desired 1 can diced tomatoes 1 ½ cups instant rice 1 can French cut green beans 1/8 teaspoon garlic powder 1 tablespoon cilantro or to taste 2 pinches basil Spray skillet with cooking spray or use butter or oil. Fry chicken and onion 3 minutes or until chicken is no longer pink. Stir in broth and tomatoes and spices. Bring to boil, stir in rice and beans. Simmer 5 minutes. Remove from heat, let stand 3 minutes covered. Serve with grated parmesan cheese if desired. OR (my method): bake chicken, drain, cut into chunks. Cook rice in half broth, half water instead of all water in microwave. Mix everything is skillet and heat through. I dont use cheese topping. This recipe comes to us from Arthur Spiegel. Ingredients: 1 pound ground turkey 1 pound ground beef or pork 1 egg per pound of ground meat (for this recipe, 2 eggs) Garlic powder, to taste (about a tablespoon, more or less) Salt to taste Fresh Ground Black Pepper to taste ½ cup gluten-free bread crumbs or use a few tablespoons of rice flour or potato flour. 1- 2 Teaspoons Oregano Flakes to taste Directions: With your hands, combine wet and dry ingredients, thoroughly. Form meatballs about golf ball size. Lightly fry tem in extra virgin olive oil until brown all over. Finish cooking in red Italian gravy. This is best if you can cook one day in advance and let the meatballs sit in the gravy over night. Serve hot. Italian Gravy Ingredients: 5 to 10 cloves of fresh minced garlic 1 large onion, minced 1 red pepper chopped ½ pound chopped mushrooms ½ to 1 teaspoon red pepper flakes Salt to taste Fresh Ground Black Pepper to taste Good sized sprig of fresh Basil chopped 1 pound sweet Italian or spicy Italian Sausage (pork or turkey is fine) cut up into 1 inch pieces 1 pound of ground turkey 1 large can crushed tomatoes 1 large can tomato puree 1 small can tomato paste 2 tablespoons of sugar 1 cup of your favorite red wine Directions: Finely mince garlic, and chop onion. In a large sauce pot, start to fry in extra virgin olive oil until onions are translucent and starting to brown. Don't let the garlic burn, or it will be bitter. Add in chopped red pepper and chopped mushrooms. Add salt and black pepper to taste. Saute. Remove veggies from heat and set aside. In same pan, brown the sausages. Remove from heat and drain fat. Brown ground turkey, adding salt and pepper to taste. Pour in some red wine to deglaze the pan and get up the brown bits on the bottom. Return the sausage meat and veggies and add some salt and pepper. Add crushed tomatoes, tomato puree and tomato paste. Add rest of red wine, basil and sugar to taste. (The longer you have to let this cook, the less sugar you'll need, as basil will sweeten the gravy. If you have less time to cook, use more sugar to taste.). Stir gravy mixture well. Add in the meatballs. Cover and let cook on a low heat. Stir occasionally, so nothing sticks to the bottom of the pot. During the cooking process, taste from time to time and add seasoning as desired. Some people like their gravy spicier than others. This is terrific red gravy for spaghetti or any other pasta. Arch Dis Child 2004;89:499-501,512-515. Celiac.com 09/12/2004 – According to a recent study by Italian researchers, about 1% of Italian schoolchildren have celiac disease. The scientists screened blood samples taken from 3,188 schoolchildren aged 6 to 12 years for the presence of tissue Transglutaminase (tTG). The results showed that 33 tested positive for tTG, and of those 30 were verified by follow-up biopsies, and 3 refused biopsies but also tested positive for celiac disease-related antibodies and celiac disease-associated HLA DQ2-8. Out of the 33 who tested positive only 12 had symptoms. The researchers believe that the subsequent treatment of these children will likely help them to avoid future autoimmune disorders associated with untreated celiac disease. They also believe that because tTG screening is less expensive and more accurate than other forms of celiac disease screening, it should be used in the future for all mass-screening programs. They conclude that future mass screening programs deserve careful consideration. J Autoimmun. 2004 Feb;22(1):65-72 Celiac.com 01/29/2004 - A new cloning technique developed by Italian researchers may lead to more accurate diagnoses of celiac disease in borderline patients, including those who are asymptomatic. The technique screens for anti-tTG antibodies in the intestinal mucosa by utilizing a cloning process to amplify the antibodies, thus allowing for their detection even in cases where only minute amounts are present. The new technique is similar to that developed and long utilized by Dr. Kenneth Fine of Enterolab, in that both techniques look for the presence of antibodies in the intestinal mucosa rather than in the blood. The new technique also has the potential to easily screen large numbers of people, which, if the researchers are correct, will lead to a celiac disease diagnostic explosion, as those who are missed by current screening methods will be properly diagnosed. The number of celiacs who are missed using current screening techniques is a topic of debate, and Dr. Fines methods have demonstrated that "in normal people without specific symptoms or syndromes , the stool test is just under three times more likely to be positive than blood tests," as reported in the Winter 2004 edition of Scott-Free newsletter. It would be very interesting to see how many people test positive in a healthy population using this new technique. Below is the abstract of the article: One-step cloning of anti tissue transglutaminase scFv from subjects with celiac disease . Celiac disease is characterized by intestinal mucosal injury and malabsorption precipitated by dietary exposure to gluten of some cereals with a prominent role being played by gliadins, specific antigenic determinants found in wheat gluten. Patients suffering from celiac disease have serum antibodies recognizing gliadin, as well as the Endomysial autoantigen tissue transglutaminase. Phage display antibody libraries have revealed ectopic production of anti-transglutaminase antibodies by intestinal lymphocytes with a biased use of the VH5 antibody gene family. Here we report a study on the pairing of VH and VL families in the antibodies to transglutaminase. Our results led to the construction of small phage display antibody libraries based on the amplification of the two genes in the VH5 family from intestinal lymphocytes. This method can be used for the rapid characterization of the anti-transglutaminase response in a potentially large number of subjects including asymptomatic patients whose serum antibodies may be undetectable. This recipe comes to us from Ann Sokolowski. The following is a gluten-free recipe for Panforte, a wonderful Italian fruitcake from Sienna which dates back five hundred years! It must be good if it has lasted that long, right? The dried fruit mixture is predominately figs and dates, but a combination with other fruits works well, too. Note the use of the rice crackers. Typically, a special rice wafer is used to top it, but this is usually only found in certain specialty stores. Makes: 14 servings Prep: 30 minutes Bake: at 375 for 35 minutes Stand: 24 hours For Preparing pan: Nonstick vegetable cooking spray (preferably butter-flavored) 1 package (3.5 ounces) thin crunchy unflavored rice crackers, pulsed in food processor until uniformly fine Panforte: 1 ¼ cups blanched whole almonds ¾ cups plus 2 tablespoons walnuts 2/3 cup toasted whole hazelnuts (see Note) ½ cup dried figs or mixed dried fruit bits such as raisins, apples, peaches, plums ½ cup diced pitted dates 1 cup finely diced candied citron 1/3 cup granulated sugar 2 tablespoons unsweetened Dutch process cocoa powder 1 ½ teaspoons ground cinnamon ¼ teaspoon ground nutmeg or ground mace ¼ teaspoon salt ¼ teaspoon black or white pepper ¾ cup light honey ½ cup rice-cracker crumbs (from preparing pan) Topping: 2 tablespoons confectioners sugar Heat oven to 375 degrees. Coat bottom and sides of 10 inch spring form pan with cooking spray. Measure out and reserve ½ cup rice-cracker crumbs. Use remaining crumbs to thickly coat bottom and sides of prepared pan. Panforte: Pulse almonds, walnuts in processor until finely chopped. Transfer to bowl. Pulse hazelnuts in processor until coarsely chopped. Add to bowl. Process figs and dates in processor until finely ground. Add to bowl of nuts along with citron. Mix the sugar, cocoa, cinnamon, nutmeg, salt, and pepper in small saucepan, pressing out lumps. Blend in honey. Cook over medium-low heat, stirring until sugar dissolves, about 10 minutes; dont let boil. Pour hot honey mixture over fruits and nuts; mix well. Scoop into prepared pan. With buttered hands, pat firmly into pan, pushing to edge; smooth top. Scatter reserved ½ cup cracker crumbs over top; press in. Bake in 375 degrees over 35 minutes; Panforte will feel soft. Cool in pan on rack 10 minutes. Run thin-bladed spatula around edge to loosen. Remove pan side. Carefully slide spatula underneath the Panforte to separate from pan bottom, but do not lift off pan bottom. Cool Panforte on pan bottom on wire rack to room temperature. Slide off pan bottom onto large square of heavy-duty foil. Topping: Sift sugar over panforte. Wrap in foil; let season at least 24 hours. If desired, dust top with more confectioners sugar and sprinkle ground nuts around edge. Note: Spread hazelnuts in 9 inch pie pan. bake in 375 oven 10 minutes. Rub briskly in clean kitchen towel to remove most of brown skins. 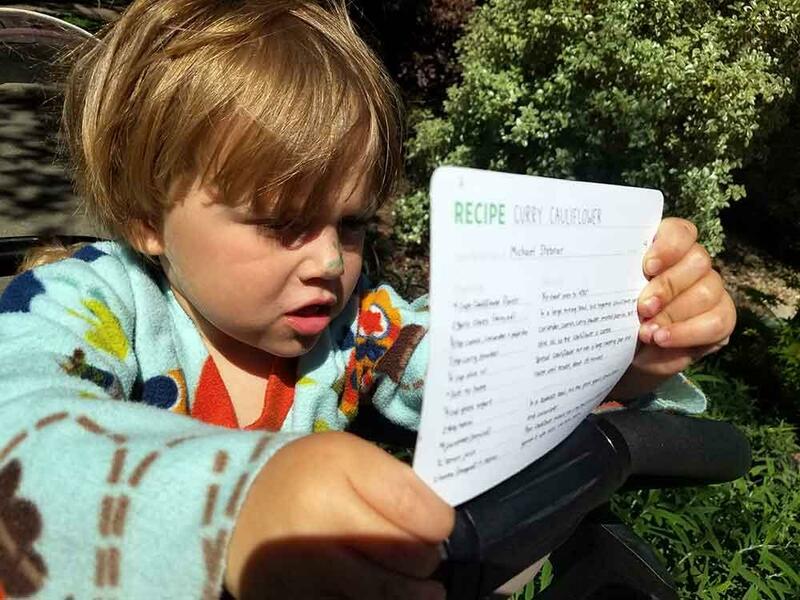 This recipe comes to us from Sara Nagy. Ingredients: 2 cups cubed leftover turkey or chicken 8+ oz. cooked gluten-free spaghetti noodles broken in half (Dont overcook them, theyll cook more in the casserole) 1 Can Progresso Cream of Mushroom Soup (verify gluten-free) 8 - 16 oz. sautéed mushrooms 1 cup grated parmesan cheese Directions: Cook the spaghetti noodles. Sauté the mushrooms, add the chicken or turkey to warm through, add the soup and the sherry. Stir in about ¾ of the parmesan cheese and the noodles. Pour into a buttered casserole dish and top with the rest of the cheese. Bake at 325F, uncovered for about 35 minutes. This is a comfort dish! Ingredients: 3 pounds ground beef 6 eggs 2 cups rice 3 cups grated cheddar cheese 1 tablespoon salt 1 teaspoon pepper 4 tablespoon dried chopped chives 2 teaspoons dried basil + 2 teaspoons Italian seasoning Directions: Preheat oven to 350F degrees Mix all ingredients together well in a very large bowl (this is enough for 2 loaves). Press mixture into two 4"- 5" X 8"- 9" loaf pans (the temps and times are for glass loaf pans.) Bake 55 minutes. Remove from oven and pour off some fat. Cover tops of meatloaves with a generous layer of gluten-free ketchup. Bake 15 mins longer. Cool 10 to 15 minutes before cutting loaves.